Notes: These articles were also submitted to Fire Emblem Blog. The game in question isn’t the Fire Emblem game that stars Eliwood, Lyn and Hector, which is actually the seventh game in the series and known as Rekka no Ken (literally “Blazing Sword”) in Japan. 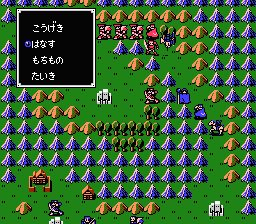 In fact, I am referring to Fire Emblem: Ankokuryuu to Hikari no Tsurugi (literally “Dark Dragon and Sword of Light”), which was released in 20 April 1990, in Japan, for the Famicom (the Japanese NES). The game was one of the first Strategy RPGs, inspiring many other games of the same genre. The game, however, wasn’t released outside of Japan, so many Western fans did not know about its existence. The game is set in the continent of Akaneia, home to several nations. Hundreds of years ago Akaneia was terrorised by the Dark Dragon, Mediuth. A youth from Aritia, Anri, slayed Mediuth and brought peace to the lands. However, hundreds of years later, Mediuth mysteriously returns and Akaneia is attacked by Mediuth’s new Durhua Empire. Marth, the hero of the game (and who some fans may recognise as one of the fighters from Super Smash Bros. Melee) loses his homeland of Aritia to the Empire. Years later, Marth decides it’s time to fight back and rallies an army to defeat Mediuth. Note: Some of the names used in this article were taken from Fire Emblem games and sources, as opposed to from Super Smash Bros. Melee. For example Akaneia instead of Akanea, Aritia instead of Altea, Durhua instead of Dolua, Mediuth instead of Medeus. Many fans were won over by the game’s marriage of Strategy and RPG elements, providing a deep story and immersive tactical gameplay from both genres. The cast of characters was vast and filled with unique and memorable characters, although their personalities and involvement in the story were very basic. However, the characters would be more fleshed out in later instalments of the series. Naturally, the graphics are now relatively basic and the general gameplay is slower and less stream-lined. However most of the gameplay features in this game should be familiar to long-time or recent fans, although many features aren’t quite as polished. For example, you could still move units to attack, heal, talk to recruit characters and etc. Buildings such as Armouries, Vendors and Arenas were also present. Later on, you can also choose a roster of units to participate in chapters. Despite the familiarity, there are some notable differences. The weapon system was distinctively different, although the type of usable weapons should be familiar (eg. Iron Sword, Silver Sword, Killing Edge). Weapons were not grouped by Rank (eg. E to A), but by a number called Weapon Level. 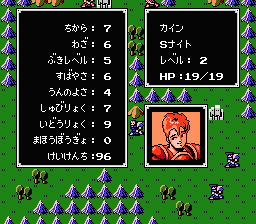 Each character had a single Weapon Level stat, which determined what level of weapons they could use. The Weapon Triangle also did not exist at this point. Most of the classes in this game should be familiar as well, including staple classes such as Cavaliers, Mages and Pegasus Knights. However, not all the classes could promote (or class-change). Lords, Fighters, Armour Knights and Hunters were not able to promote initially, despite the latter two having obvious promotion classes. Pegasus Knights also promoted to Wyvern Riders (called Dragon Knights in the Japanese games), and it wasn’t until later that the two classes had their separate class branches. The next difference is probably the largest thing that I’m glad was removed. That is, healers (such as Priests) could not gain experience from using their staves. Instead, the only way for healers to gain experience and level up was to get attacked by enemies. Actually, it wasn’t extremely difficult to level them up, since they got around 25 experience each time. However it can be a headache for players that like to keep their healers away from danger. Overall the game is a quality Strategy RPG and one that was well ahead of its time. These days it does seem rather outdated, but it can still be a fun game to play. However, the existence of the far superior remake (Book 1 of Mystery of the Emblem) does make the game slightly redundant to play. For those still keen, this is still the original Fire Emblem and does have some extra features over the remake, such as slightly more chapters and characters. The second in the series of articles aiming to raise awareness of the older Fire Emblem games. 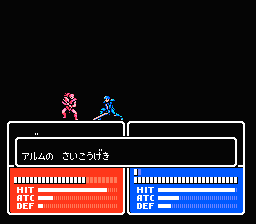 Not unexpectedly, this article is about the second game, Fire Emblem Gaiden. 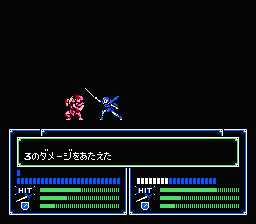 This was a side story to the original game (gaiden means side story in Japanese), and it was released in 14th March 1992, in Japan, for the Famicom (the Japanese NES). Some fans refer to this game as the “black sheep” of the Fire Emblem series, just as Link’s Adventure is to The Legend of Zelda series or Super Mario Bros. 2 (in the West) is to the Super Mario series. This is because, although the core gameplay and ideas are similar, many elements of the gameplay are vastly different to the first and later games in the series. However, many features of this game were re-used in TearRing Saga (a strategy RPG created by the original creator of Fire Emblem) and, later, in Fire Emblem: The Sacred Stones. The game’s focus moves away from Akaneia, the continent of the first game, to the nearby continent of Barensia. Long ago, Barensia was ruled by two sibling gods, Doma and Mila. However, due to disputes between the followers of the two gods, Barensia became divided into two halves – the northern kingdom of Rigel and the southern kingdom of Sofia. A period of long-lasting peace is broken when Rigel suddenly invades Sofia. Arum, a youth from Ram village, raises a liberation army to repel the Rigel invaders. At the same time Cellica, a priestess of the goddess Mila, journeys to determine why Mila’s influence on the world is fading. Eventually Arum and Cellica join forces to stop the evil at the heart of Rigel. Initially the game doesn’t look too different from the first game, especially graphics-wise. 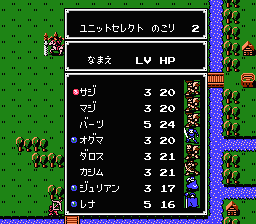 Many of the battle sprites and map sprites were re-used, and the design of the menus are practically identical, as are the design of the character portraits. 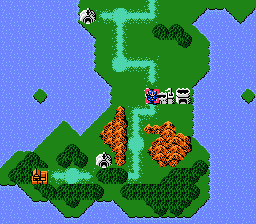 The most notable difference is the presence of the world map, where players can choose which location to visit (just like in The Sacred Stones). However, as soon as you play the game, the differences become more apparent. The game itself is split into five chapters, each containing multiple battle scenarios. In the first chapter, the player controls Arum and his army. In the second chapter, control switches to Cellica and her army. 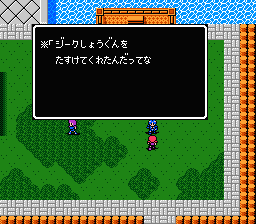 In the third chapter, and beyond, Arum and Cellica take separate routes through Barensia, and players can choose to control either character, as long as they are on the world map. Only after both characters have achieved their chapter goal, can the whole chapter be passed. At one point in the game, one of the heroes must trigger an event for the other hero to pass through a certain area. Otherwise, the two heroes operate mostly independently. During each chapter, players traverse Barensia’s world map, choosing which locations they wish to visit. Locations occupied by enemy forces initiate map battles, while other locations open up a village or dungeon map. In village maps players assume control of their main character, to freely move around and converse with NPCs (non-playable characters), like in traditional RPGs. Dungeon maps operate similarly, except moving into the next section of dungeons may trigger battles. At the end of dungeons, there are usually chests with rare items or a Temple of Mila, where characters can increase certain stats and/or class-change. 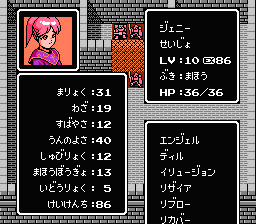 Battles in dungeons can be repeated, so characters can train there outside of the main story. Unlike in other Fire Emblem games, characters can only equip one item, whether it is a weapon, shield or ring. Characters can attack without weapons, although they gain no attack bonus. The magic system is also vastly different, in that characters learn different magic spells at pre-determined levels (like in traditional RPGs) and set amounts of HP are consumed to cast spells. Healers also consume HP to cast their recovery spells, although they come with the Resire spell (Nosferatu in the English games), which saps HP from enemies. The class system is also quite different. Characters still only reach a maximum Level of 20, but the Level that they can class-change at varies from 3 to 20, depending on their class. All classes cap their (non-HP) stats at 40, which is the highest cap in the entire series. Four of the basic classes can also class-change twice, e.g. Knight to Paladin to Gold Knight. Finally some characters start life as a Villager, which is a class below the basic classes (i.e. similar to the Trainees in The Sacred Stones). Villagers can class-change into Mage, Archer, Knight, Soldier or Mercenary (the choice of class is randomly selected). Aside from the differences mentioned, the gameplay isn’t too dissimilar to the first game, or even the more recent games. The similarities to The Sacred Stones (and more so to TearRing Saga) are also quite large. Like the first game, this game is often over-looked by most fans, due to its relatively primitive graphics and slow gameplay, and also because it was only released in Japan. However the gameplay is solid and has great depth, if only a little unbalanced and reliant on power-levelling. The music is also very nice, despite being on such an old system. To finalise, this is one of the more unique Fire Emblem games, and quite a fun game as well. However, like many “black sheep”, people tend to neglect this game. Yet, without this game, later Fire Emblem games might not have been the same. In fact, classes like Sages, Soldiers and Falcon Knights made their debut here, as did the infamous Shooting Star (Astra), Moonlight (Luna) and Sun (Sol) names. So, if you want to completely understand the heritage and evolution of Fire Emblem, that’s also another good reason to seek this game (or information about it).